Friday, December 9, 2016, at 8:00 p.m.
Saturday, December 10 at 8:00 p.m.
Sunday, December 11 at 2:00 p.m.
Friday, December 16 at 8:00 p.m.
Saturday, December 17 at 8:00 p.m.
Sunday, December 18 at 2:00 p.m. 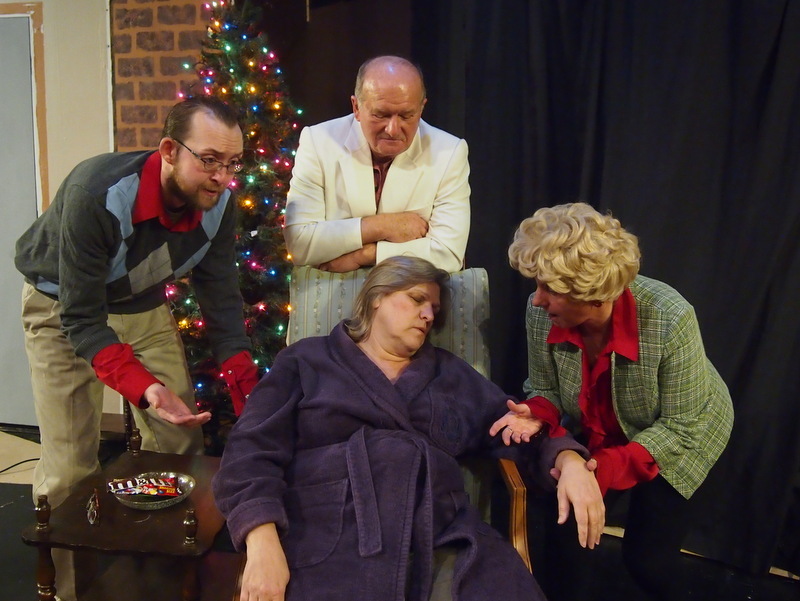 The Christmas Spirit is a clever retelling of " Death Takes A Holiday". It's early Christmas morning and Death has come to take Julia Dowling to the promised land but she's not ready to go yet and she talks him into giving her a stay and invites him to Christmas dinner, something she hasn't done in years. Now she has to round up the family, cook a traditional dinner and hopefully sway Death from taking her. 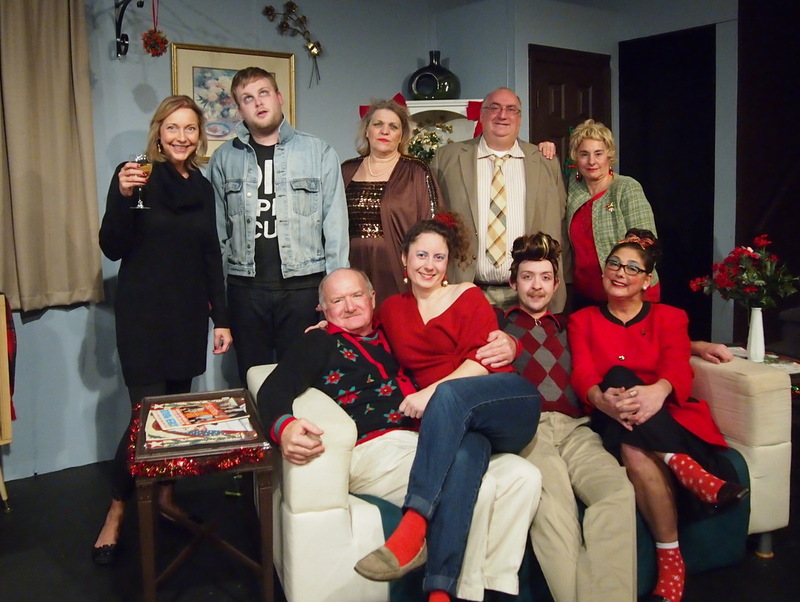 Enter a broad array of characters from the grumpy older sister and henpecked husband, her musician son who is gay and doesn't know it, his girlfriend a rising singer hopeful, the pastor and a suicide victim that Death brings with him.